The latest Air Travel Consumer Report shows that tarmac delays dropped slightly in September, year-over-year, while cancellations increased considerably. There were four tarmac delays three hours or longer in September 2010, compared to six in September 2009. Digging into the cancellation data, it’s clear an increased number of flights was a factor, but there may be more at play. The raw numbers show a jump from 2,934 cancellations last September to 4,654 this year, a 40 percent leap. This far outpaces a 3 percent bump in flights (510,000 in 2009 to 526,000 in 2010). Opponents will grab onto those statistics as proof that the tarmac delay policy is a giant failure. Trouble is, it’s hard to prove either way. 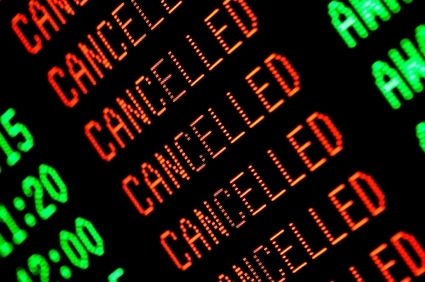 The policy likely did play a role, but how much it influenced the number of cancellations is difficult to ascertain. One statistic that did jump out at me, however, was the number of tarmac delays two hours or longer: 292, up slightly from last month’s 239. Unfortunately, the DOT didn’t publish this statistic a year ago—the first month with data was May 2010, and there were 364— so there’s no way of knowing if it’s up or down year-over-year. For the DOT, however, the bottom line is that three-hour delays remain minimal. But it can’t be happy to see that spike in cancellations, especially with the tricky winter months ahead.